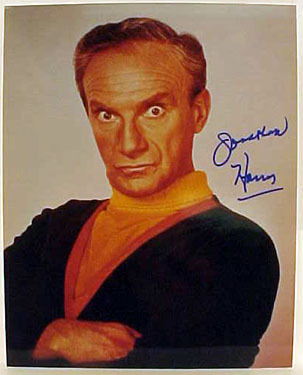 Jonathan Harris, a versatile character actor perhaps best known for his role as the villainous Dr. Smith in the science-fiction fantasy series ”Lost in Space” on CBS television, died on Sunday in Los Angeles. 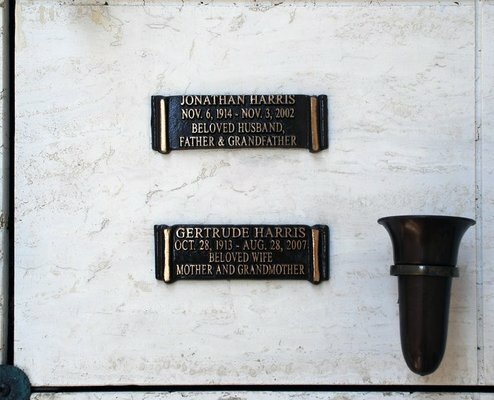 He was 87 and lived in the Encino section of Los Angeles. ”Lost in Space,” which thematically resembled ”Swiss Family Robinson,” was broadcast from 1965 to 1968. Mr. Harris was popular as the devilish saboteur Zachary Smith, a character who could also be timid and even endearing. Mr. Harris also had regular roles in the television series ”The Third Man” (1959-61) and ”The Bill Dana Show” (1963-64). Mr. Harris, whose flexible baritone could range from silliness to threatening condescension, did voiceovers for many cartoon shows and animated films, including ”A Bug’s Life” and ”Toy Story 2.” He was born Jonathan Charasuchin, grew up in the Bronx and changed his name to Harris when he was 18. He acquired a love of acting after exposure to opera and Yiddish theater.